this is our second stay here and this time we were luckily to have a new room. the staff was very friendly and provide us with great hospitality.. however there are some food stalls nearby were closed..
Three night stay here was good . Owner very friendly and helpful , room and facilities good for the price . Five or ten minute walk to beach and night market . Many local restaurants nearby, and bus to Georgetown , Tropical Spice Garden , Butterfly Farm etc ,stops right outside hotel . 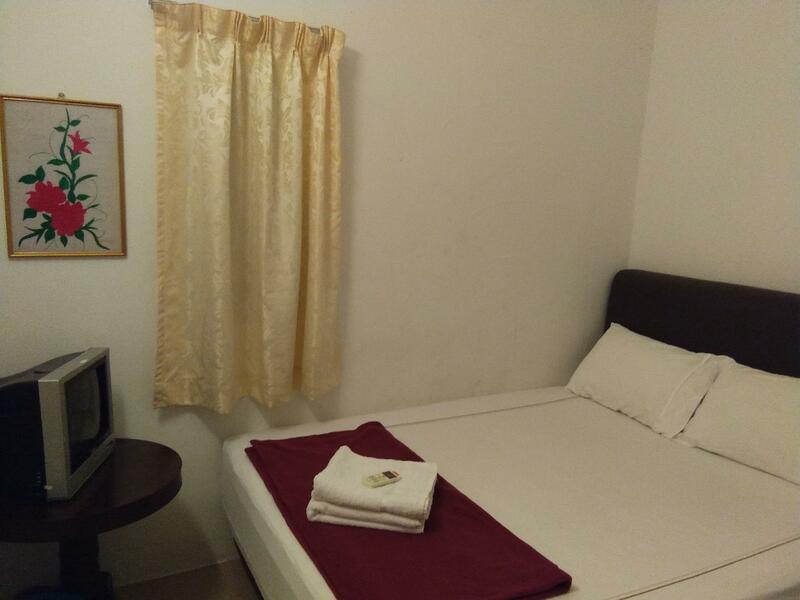 Does as it says on the tin, clean, aircon good, ten mins to beach and night market, bus stop outside motel for the 101 bus from/to the ferry, coffee, hot water machine and iron board/iron for communal use in corridor, clean toilet and shower, usual noise you get with marble floors. Owners friendly and helpful. Enjoyed our three day stay, would stay again. Our stay at the Rasa Motel was amazing. The motel is simple, but the room was clean and spacious, the staff incredibly friendly and helpful. It was by far the best stay we've had in Malaysia so far. 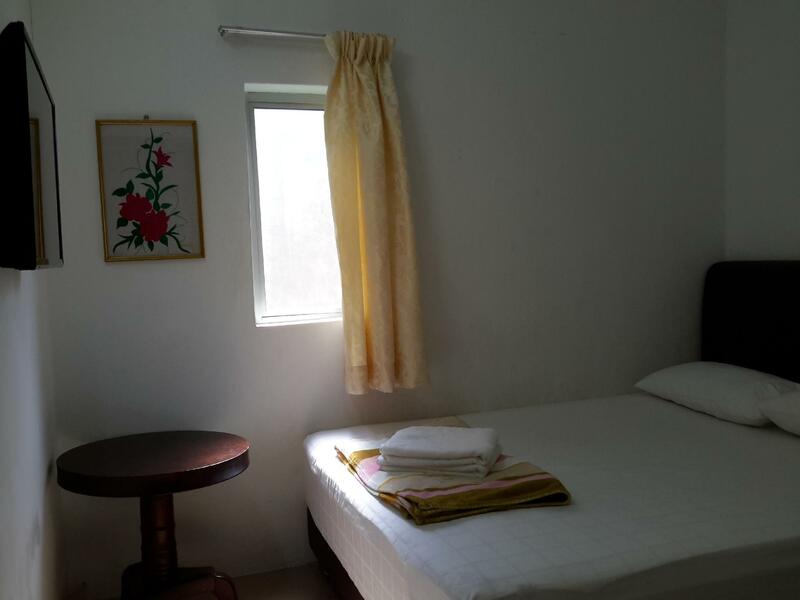 It's well located, very close to the beach and the night market in Batu Ferringhi. I would definitely stay here again and would recommend it to anyone. The attention the staff gives their guests is 5*! Mr. Chan was indeed a very nice, helpful, polite and sweet man. He made sure our entire stay was comfy as were staying there for 4 nights. We wanted a clean room, clean toilet and comfortable bed to sleep, which we partially got it all. The bed was a little noisy when i roll around and wasn't too comfortable as i can feel the spring of the bed, but it was manageable. The room came with towels, water bottles, coffee packet with mugs, well functioned air-cond, tv and hangers. I just felt that they should change the linen everyday during the housekeeping and mop the floor as i found there are some stains on the floor, Otherwise its worth every single penny you paid as this is a budget motel. 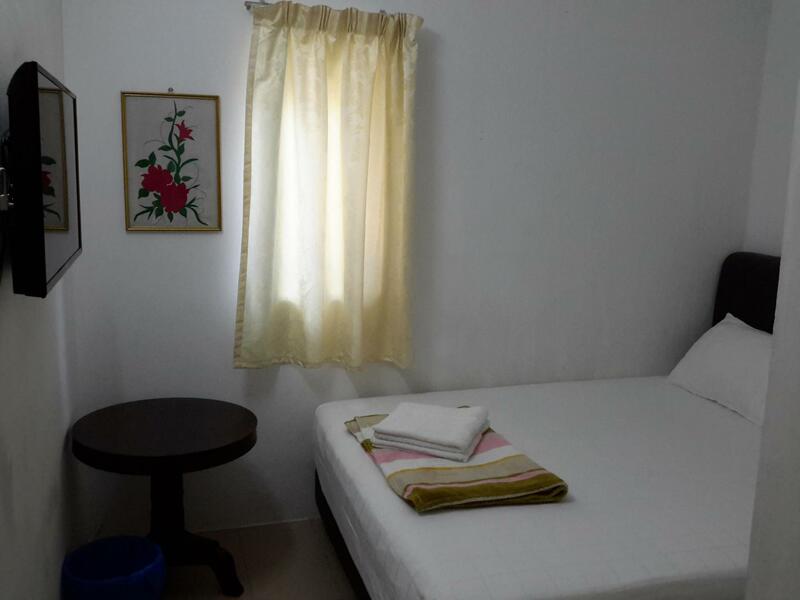 It's near to the beaches but we were there for food hunting which was all located at Georgetown, if you are not here for beach then i recommend book a hotel somewhere in georgetown, if you are here for beach then this motel will be a smart choice. One of the best person in Penang. The staff was good and he briefed us all the places around the stayed. The room looks new and the facilities were good, but the floor looks a bit dirty. Anyway it was a good memory for us at Batu Ferringhi. This is one budget motel that you don't judge the appearance from the outside! Very lovely couple running the business ... Friendly and helpful as also been mentioned by many in the review. Due to room availability and our longer stay ... we got a free upgrade to a triple room in the new wing ... greatly appreciated. Good sleep on comfortable bed in a clean room. Walking distance to eateries and beach. Buses #101 & 102 stop at Ferringhi Plaza which is right in front of the motel so convenient for those taking this mode of transport. Good TV reception and Wi-Fi which we believe are important for some entertainment and internet connection. Good working air cond and shower! A cafe will be open for guests soon. It is a nice sleeping place and safe .... we will stay again coming to Batu Ferringhi. We arrived later in the evening 22:45 after a long bus ride and bus delays. We were welcomed by an amazing gentleman who kindly guided us through an introduction to his motel and the surrounding area. This proved to be extremely helpful and he was more than happy to help with all our questions throughout our stay! We had a lovely new room which was very clean and included coffee and bottled water. Air con was brilliant, very quiet and efficient. We were gifted many wee treats too such as water melon, dumplings and waffer bars. Nothing was a bother to them.The staff here are amazing. So friendly and warm and that means so much when you're on the other side of the world. We extended our stay as we felt so comfortable. There was no noise due to the location. Perfect for us as we had come from China town in KL and wanted to chill out and relax for a bit. The beach is close so is various food options and shops. We highly recommend Rasa Motel and we will be returning in the future. The owner is very friendly and helpful, he drew us a map of the local area and even lent us his personal wine glasses for us to enjoy a couple on the beach. The location is very good for everything in Batu Ferringhi - would 100% stay again. In my more than 25 years of travelling and wandering experience in s. e. Asia, the first and only place I really could feel at home when not staying with long term friends or relatives, with the added benefit of feeling more free to come and go anytime one doesn't always have with family home staying, while still truly affordable. The most friendly and caring hosts one could possibly think of, always eager to have a chat or spoil you with all kinds of attentions & goodies , but only when you feel like it, without any pressure and with a genuine sense of hospitality. Do not expect luxury, the room has everything one needs and anything you might miss comes your way if you just ask for it, but most importantly indulge into some real '5 star' personal attention you'd never get in even the most luxurious resorts. Home..., as it should always be! Very friendly staff, basically he can be the local guide if you are clueless where to go. Within 5 minutes walk to the night market and beach. Along the way, you can find lots of local or authentic foods and restaurants, no worries about going hungry at any given moment. If you are just looking for a place to spend the night, this is the ideal place, no fancy pool, no gorgeous bathtub, no comfortable bed, just a normal single-layer bedroom with private toilet. Good enough for anyone who's looking for a cheap and simple place to spend a night or two.